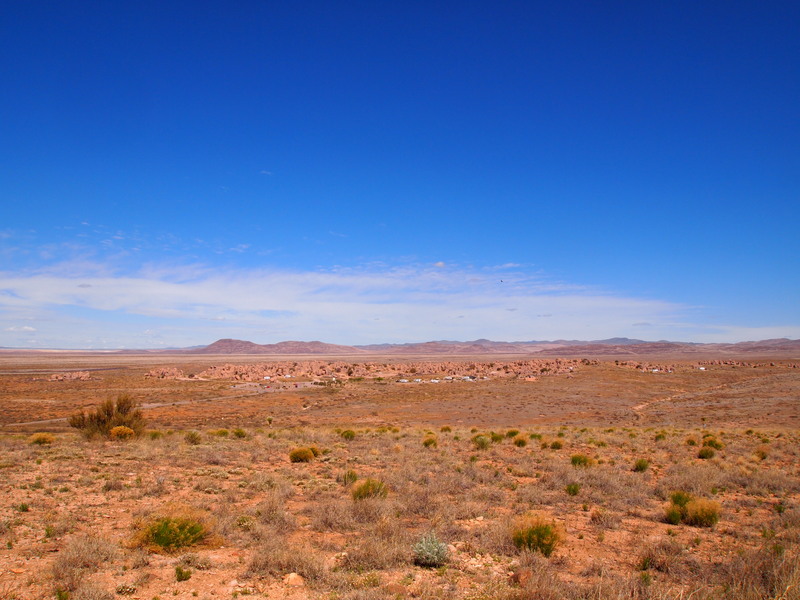 We were up early again the next morning to pack up the car for the final time. 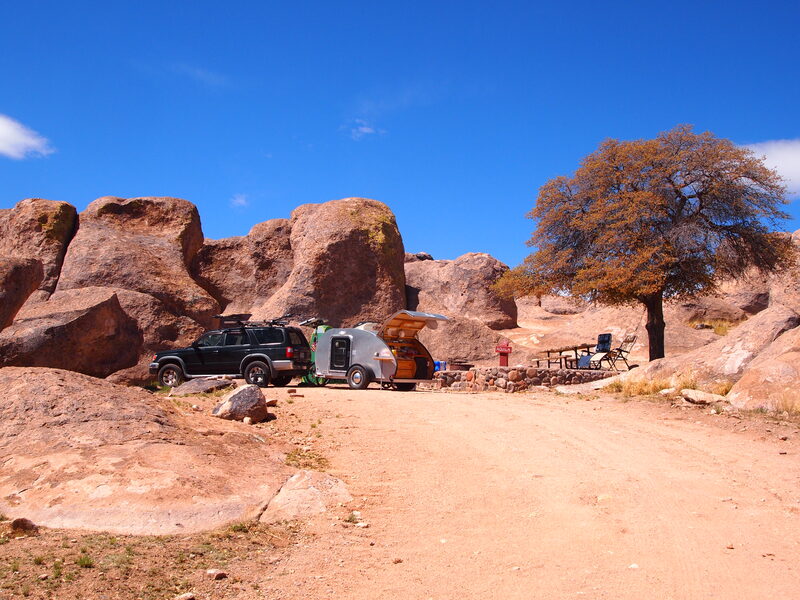 We drove back into Silver City for breakfast and coffee before hitting the road. 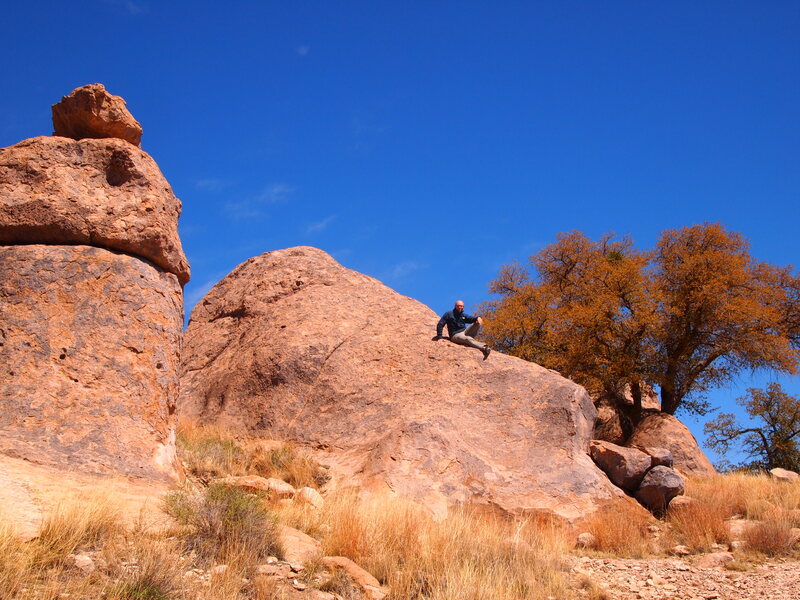 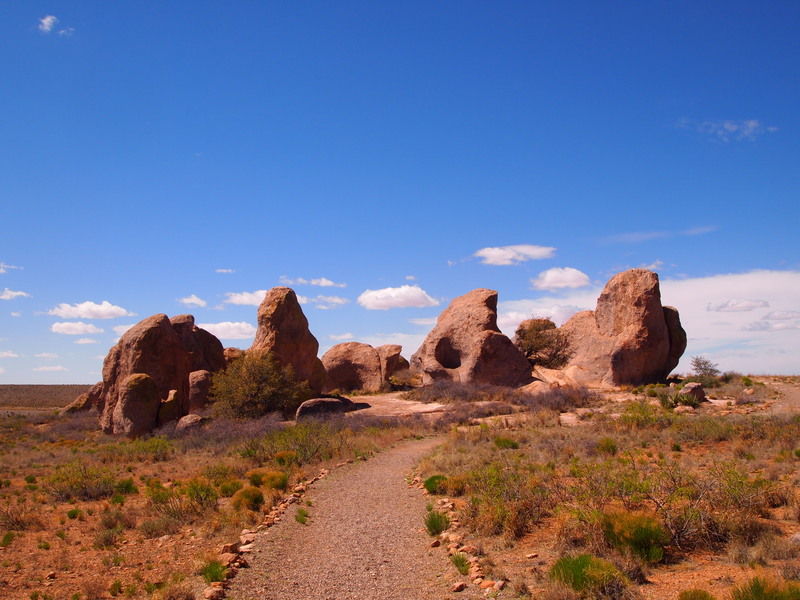 I wanted to make one detour before we left New Mexico at a state park not far outside of Silver City – City of Rocks. 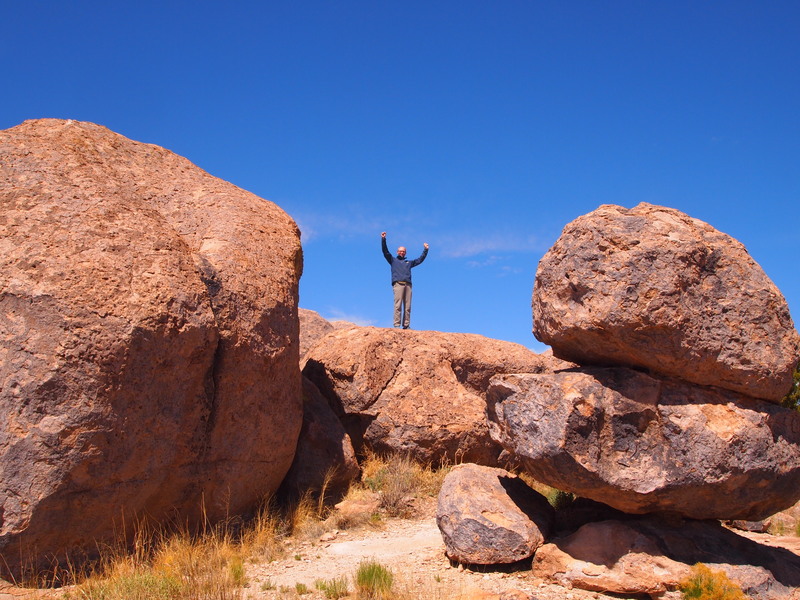 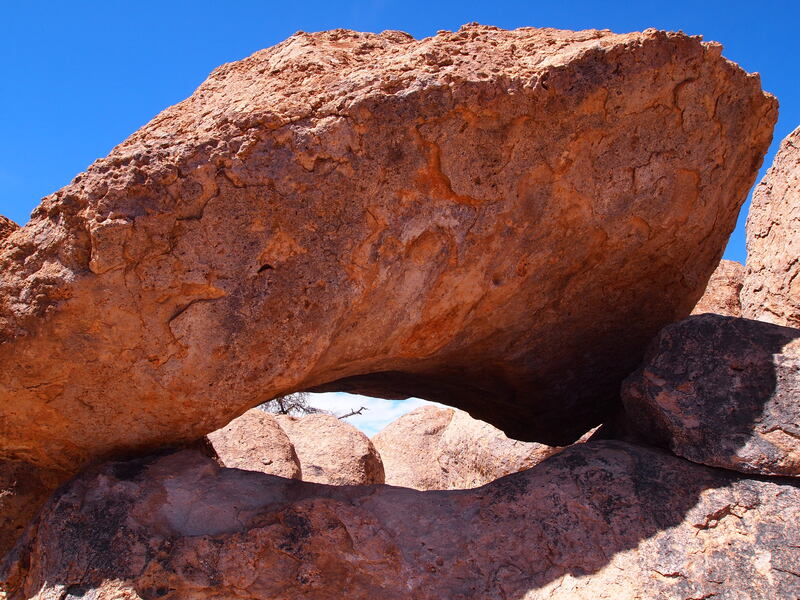 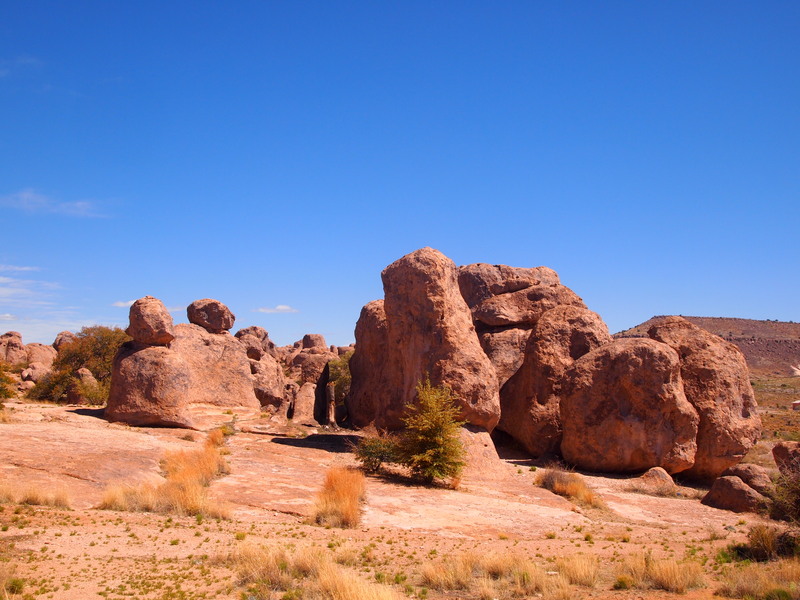 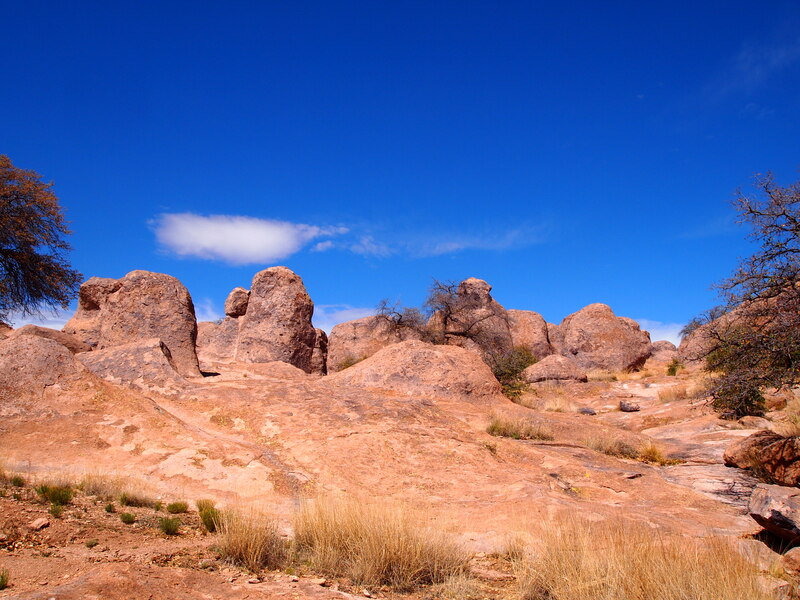 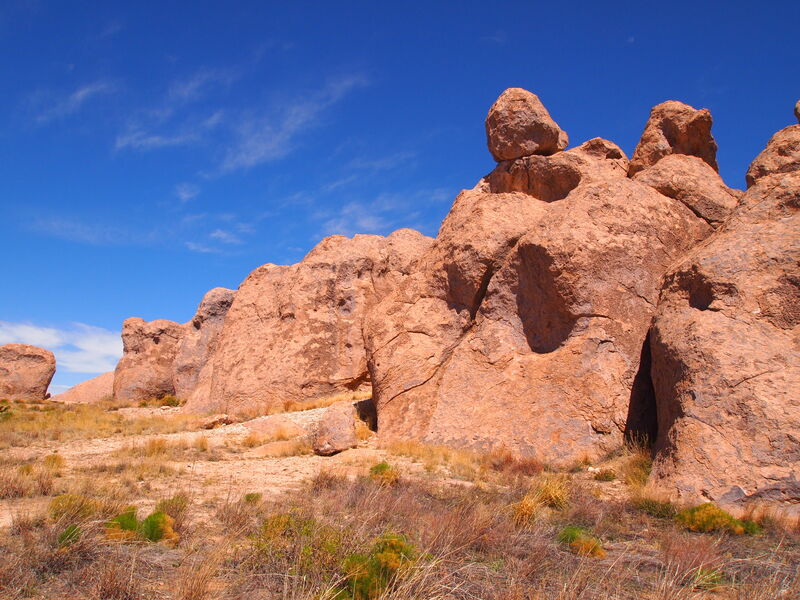 City of Rocks State Park was formed through a volcanic explosion millions of years ago. 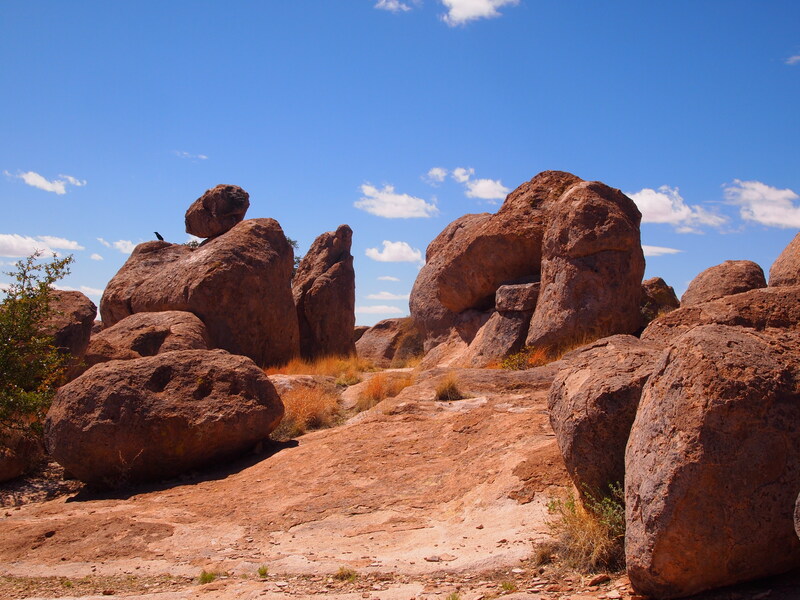 The rocks have undergone millions of years of erosion to form a community of unique rock sculptures. 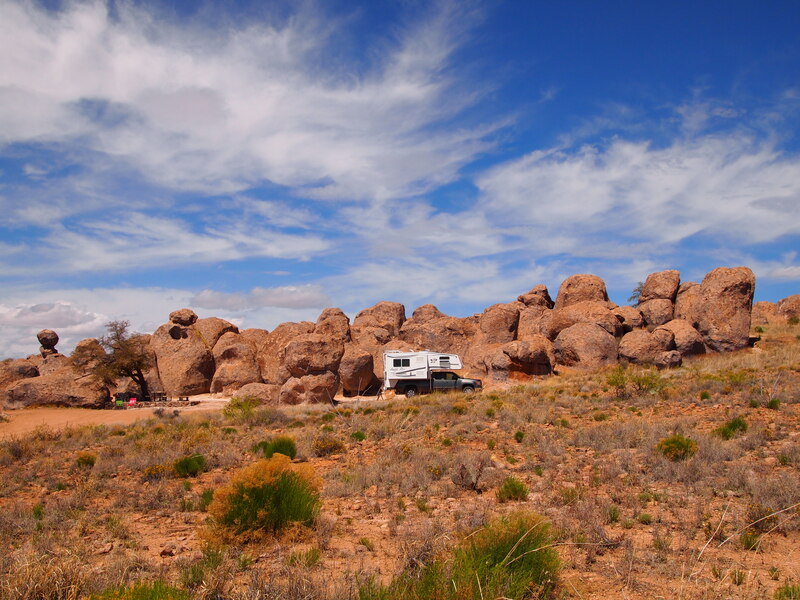 The rocks are divided by paths and streets much like a neighborhood, providing unusual campsites for tents, teardrops, and RVs.